In our proposal, alterations to the road infrastructure define various development area, each with their own spatial characteristics, programmatic focus and indentifiable sub-centers. 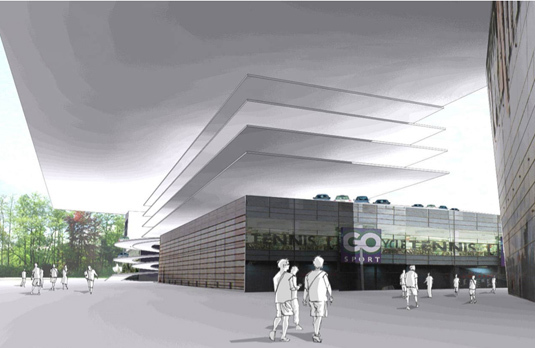 Together they form the future perception of the city: a new image of Genk. 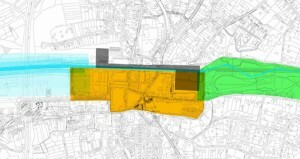 As a case study for possible development, two infrastructural nodes are rearranged to better define the Shopping Strip. At these locations, different modes of transport are interconnected in a new urban setting, with added public and retail program. 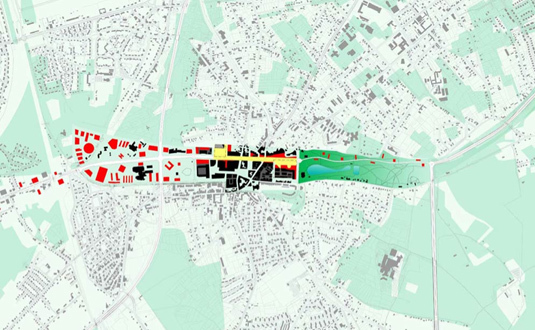 These projects reveal the true urban potential of Genk: to be a city on a Euregional scale.